The Sufi Remedy: An Antidote To Religious Extremism And Violence – Analysis - Integration Through Media ....! The prevention of the contemporary wave of Islamist extremism and violence requires a response that does not end with mere enforcement laws. In fact, in many instances this problem persists or thrives in spite of ever stricter enforcement laws. This is due to the nature of the problem that affects the hearts, emotions and beliefs. Hence, what is necessary is the rehabilitation of the hearts and souls of these individuals affected with extreme thoughts and feelings of hatred. In this respect, while debates are ongoing as to the best response to the threat posed by Muslim extremists, increased attention should be given to ascertain the role of spiritual values and morals which have been emphasized in the Islamic tradition as a viable remedy. Throughout the history of Islam, purification of the soul and focusing on the inner dimension of the heart have been employed to cure drug addicts of their addictions. This is due to the belief that these can provide the remedy to cure sick minds and wayward behaviours. As such, Sufism should be rightly considered as a possible antidote to religious extremism and violence. This is primarily due to the values of universalism, inclusiveness and compassion that are heavily emphasized in the Sufi philosophy. These values which form the tenets of Islamic teachings are at variance with the actions of violent extremists. The term Sufism (Arabic: Tasawwuf) comes from the Arabic word ‘safa’ which means purity. Some scholars say that the term originates from ‘suf’ which is wool as they refer to the simple wool attire worn by the Sufis. In Islamic tradition, Sufism refers to a branch of Islamic knowledge that focuses on Islamic spiritual development and purification. As a science in Islamic knowledge, Sufism encompasses a wide array of dimensions which include theoretical, philosophical, rituals, music and arts. To attain purification of the heart which is known as tazkiyan an-nafs, the Sufis emphasize the importance of ‘zikir’ which is the constant remembrance of God. Sufism is known as the soul of Islam. Effectively, it refers to the internalization of Islam. It emphasizes on the purification of the soul as explained in the Quran “Verily, he who has purified the heart is successful and he who has despoiled it has lost.” (Quran 91:9-10) Despite the important role that Sufism plays in the process of purifying the hearts of Muslims, many of people have misunderstandings about it. Some claim that it is something beyond the Quran and the tradition of the Prophet. The misunderstanding on Sufism and is due to among others ignorance and inability to appreciate its importance and significance. 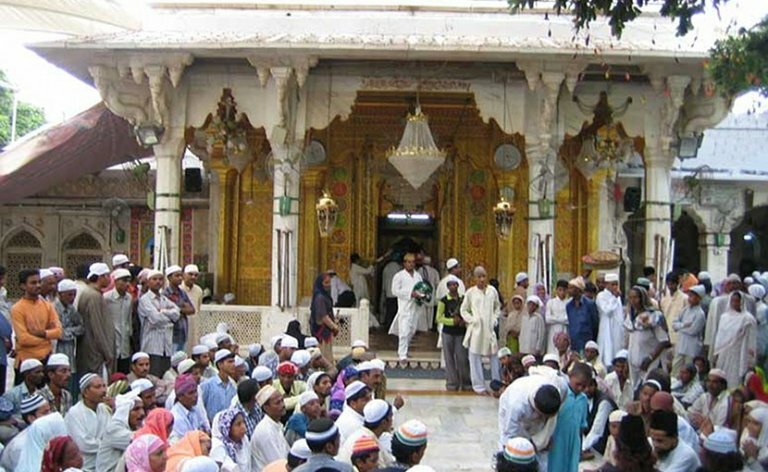 The existence of several Sufi groups who have gone deviant and astray from Islamic principles is also the reason why some believe that Sufism is not part of Islamic tradition. The most important value that Sufism offers to the extreme and violent narrative today is the notion that Islam is dynamic by nature. Whatever rulings that may be applicable many years ago may not be applicable in this day and age. However, if one were to apply the spirit and guiding principles of Sufism, one would be able to budge from the rigid framework of thinking that defines those prone to extremism while still being in the framework of Islamic thought. If we study the Quran and the history of Islam, we will discover that the verses in the Quran that speak about Islamic laws and rulings were revealed much later after the verses that call people to believe in the oneness of God (Tauhid). As an illustration, in the early days of Islam, alcohol was not totally prohibited in the Quran. The prohibition of alcohol was made gradually and in stages. This was done in order to first build up the faith of the believers. Then in Medina, the laws on the prohibition were sent down. If we look at Islamic literature on educating children, we also realise that parents are advised to teach children to know and love God first. This will enable them to better understand the need to perform worship and rituals in a more holistic manner. For instance, little children should first be made to understand the purpose of praying rather than merely enforcing the prayer upon them. This inner quality of worship is what the well-known great scholar Imam Al-Ghazali or Algazel as known in the western world (died 1111) was referring to in “Inner Dimensions of Islamic Worship”- a book that contains selection from his magnum opus, Ihya Ulumiddin (Revival of Religious Sciences). In summary, it states that the most crucial part that precedes any action is a full understanding and mindfulness of the spirit and purpose behind those actions. Sufism is also a tool to purify oneself in order to attain beneficial knowledge in Islam. One may argue that the study of Sufism should precede the study of other disciplines in Islamic religious knowledge. This is due to the fact that Islam not only places a high value on knowledge but is also concerned with the manner or adab in which the knowledge is acquired. Muslims believe that beneficial knowledge can only be acquired and retained when a person is a “clean vessel”. As such, if the proper adab of learning as prescribed by Sufi scholars are not adhered to, there may come situations whereby the knowledge gained may be distorted, manipulated or lead the students astray. This is what Sufism can offer to the modern world. Historically, Sufism as a discipline was not present in the early days of Islam. Just like the sciences of Tafsir (Interpretation of the Quran) and Hadith (Prophetic Traditions), these sciences appeared as scholars respond to the needs of the people. As time went by, Sufism came about as a solution to fulfill the need of the people to “purify their soul”; a science of hearts aimed at developing their inner dimensions so that they can walk the earth with adab (manners), humbleness and gentility. In this day and age, this not only rings true but may even be the solution we need to counter the aggression and violence that do not seem to see the preservation of life and order as critical. This is because while Sufism is not the only solution to the problems of extremism, it definitely offers a viable alternative to the extremist ideology and narratives while being in the framework of Islamic traditions. (Mohamed Bin Ali is Assistant Professor at the S. Rajaratnam School of International Studies. He is also a counsellor with the Religious Rehabilitation Group (RRG).